When I was a teenager one of my best friends described a song to me. It was 'Expecting to Fly' by Neil Young/Buffalo Springfield. She said it felt like standing on a rocky shoreline being hit in the face by crashing waves. I knew I had to hear it, and when I finally did I realized she was right. Young's soaring vocals, the melancholic beauty of the song, the perfectly timed drumming and the strings was like an ocean spray of emotion. It's still one of my favorite songs to this day. 'Alan', the final track on the latest Perfume Genius album No Shape is the closest thing to that song's feeling. Even the strings have the same tonal quality. It's almost uncanny. 'Alan' embodies that same pallette of swirling emotions before taking flight and soaring. The resolve, the acceptance of finding happiness at last is achingly realized here. The initial restraint in Hadreas' voice turns into pure confidence of expression, even if he's taken aback at the simple fact of his presence after a past filled with drug abuse and self-loathing. He sings to his partner and music collaborator that the song's named after: "You need me/ rest easy/ I'M HEEE-ERE/ HOW WEEE-IIIIIRD." It's a warm-blooded wail that echoes across a cold space and time, jetting out from the once wounded chambers of his heart. 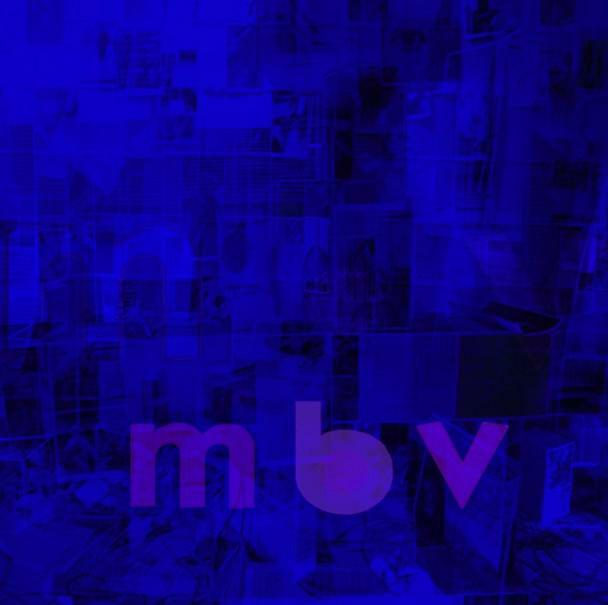 Most of the album is bold in this way, never holding back in terms of pure, spontaneous expression. Self-described among other things as "church music, makeout music, an array of the gothier radio popular formats, rhythm and blues, art pop, krautrock, queer soul", No Shape is certainly more ambitious even than 2014's boundary-pushing Too Bright, but it never feels like it's trying too hard. There's honesty throughout the lyrical themes as well as the compositional aspect, even if it might seem insanely daring at times. The risk pays off so well, it's almost as if Mike Hadreas is inventing a whole new style by giving his Perfume Genius vehicle a cleaner, yet more combustible gas. 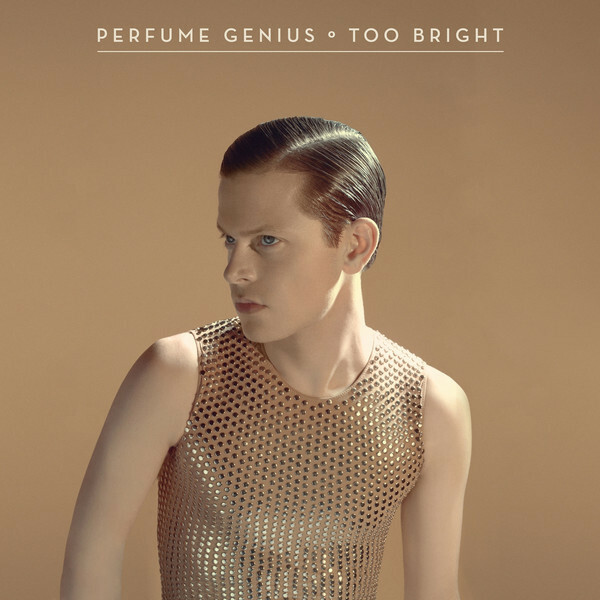 Concentrated emotion has always been a strong presence on any Perfume Genius album, but it seems to be growing with each new release, becoming more viscous in the process. Each track here is like a chunk of lava from the volcano of Hadreas' evolved self. 'Otherside' opens the album, a soft piano that's followed by bursts of angelic vocals and crashing, glittery chimes. It feels like a reassuring lullaby from an "other" dimension as he forcefully intones "Rocking you to sleep from the Otherside" before letting loose with a swell of energy. Notice "Otherside" is capitalized - a proper place, not some ephemeral idea that might be out of reach. It's concrete, which signals Hadreas is fully aware of what he's constructing here. Lead single 'No Shape' is orgasmic, splashing in your face with a queer authenticity, abandon and above all truth that doesn't apologize for being what it is: "Oh love they'll never break the shape we take/ baby let all them voices slip away.' Continuing this theme is the grand, waltzy and sensual 'Just Like Love', with an effeminately dressed gay male as its focus: "Sleeve cut just off the shoulder/ You are christening the shape/ They'll talk/ Give them every reason/ For child, you walk just like love." On 'Wreath' Hadreas seems to be embracing the motion of life and fighting against the stagnation of the self in the face of mortality: "Burn off every trace/ I wanna hover with no shape/ I wanna feel the days go by/ Not stack up." The ghostly, spine-tingling 'Every Night' holds you utterly rapt in its grip with a quiet, slow moving power. In terms of melody, it's a master class in careful, studied simplicity being more effective than showy complexity as a means to evoke pure feeling. 'Choir' is more like a fever dream than a proper "song." It's all intense, panicked strings with spoken lyrics filtered through Hadreas' up close, whispery and weary voice. The soulful 'Die 4 You' sounds like the brand of R&B from George Michael's Older album, but even deeper, druggier. It's one of those songs that has the ability to utterly wreck you, but in a good way. It uses the metaphor of asphyxiation to explore the overwhelming power of love and its pull, not allowing for any notion of separation: "Each and every breath I spend/ You are collecting/ See it through/ I would die 4 you." 'Run Me Through' also fits into the soul category, but in a steadier, more intentional way with its wurlitzer-led beat and forward-slinking drips of percussion following one after another like rain on the pavement preceding a downpour. After 2014's masterpiece Too Bright, it seemed to me unlikely Hadreas could pull off another album as stunningly brilliant, but in fact, he's done just that. No Shape is just as experimental - more so actually - but it also seems to have a fuller pop sensibility, which isn't an easy feat for many artists. The recent Kate Bush comparisons he's received are well deserved here. No Shape is that kind of album you wish you could hear again for the first time, just so you can experience that first thrill of something new, different, and utterly fantastic. In this latest installment in the Perfume Genius catalogue, Mike Hadreas is showing himself as an artist in the fullest sense of the word, clearly leaving very little room for argument on the matter.